At PAK'S, we feel strongly that anyone can succeed in martial arts training. Through proper goal setting and regular training, lives are changed, and our programs help students achieve enduring success. Training programs here at PAK'S impart wisdom, self-confidence, and purpose-driven strength - useful tools in today's fast-paced world. Using skills passed down by the Hwa Rang Warriors, our instructors strive to unlock great potential in the lives of our students and their families. Our modern teaching methods, combined with a traditional martial arts program, create opportunities for individuals and families to develop physically, mentally and spiritually, achieving their life's highest accomplishments. A character based, balanced program designed to integrate martial arts training with the benefits of fitness training. 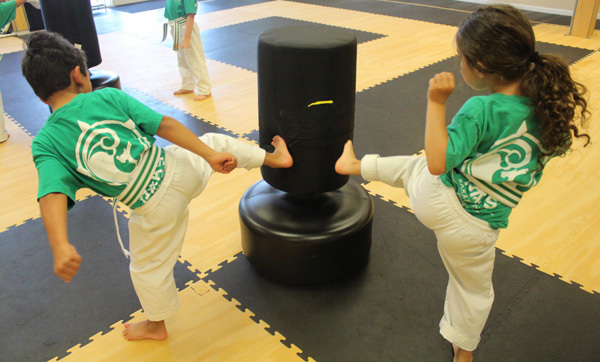 Students work on a variety of techniques that help them learn basic martial arts skills of blocking, striking, and kicking, along with gross and fine motor skill development. Every two weeks we change the focus of the mat chat to a different character trait. Students that are able to demonstrate the character trait consistently, receive a special patch for their belt. This is how students advance through the program. Once a student has attained the required skills, we will consider them for the White Tiger Program. 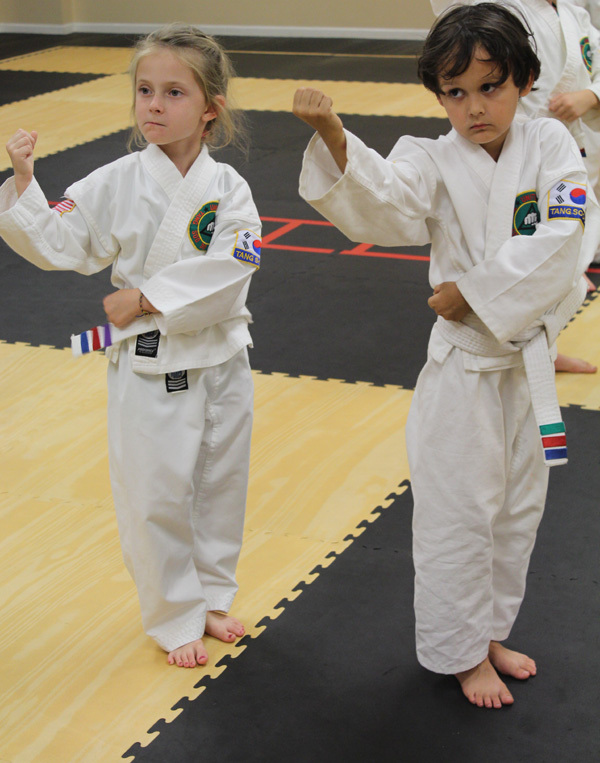 This is a very robust beginner's Tang Soo Do program that features all of the activities included in the regular Tang Soo Do program, except the pace is structured to allow better development of skills and techniques, for this age group. Students learn opening movements, forms, one-step sparring and eventually free sparring, along with a vigorous rotating fitness curriculum. They are also introduced to Korean terminology in this class. Students are generally ready to promote every six months in this program, as long as they are consistently able to demonstrate the required skills. Students earn a number of stripes on their belts in this class, based on their ability to demonstrate the skills they are learning. This allows everyone to see where each student is in their development. Students take at least one forms class a week and at least one sparring class per week to keep their skills current. Forms classes are rank specific, and the sparring classes are age specific. 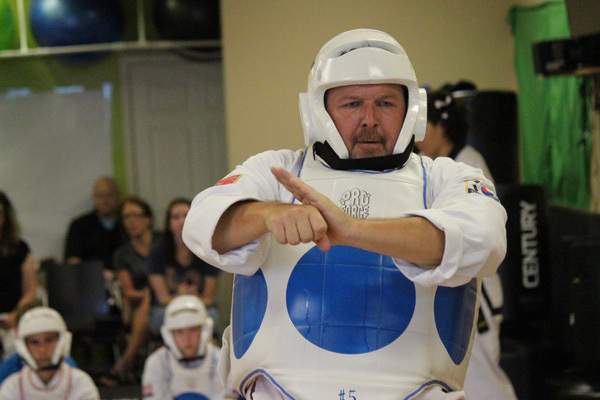 We use a rotating curriculum, and students earn belt stripes as they progress through the rotation. Once a student has earned all of the stripes, they are ready to promote. Promotions are done three times a year, in January, May, and September. There is no limit to the number of classes a student can take, so getting in extra practice is not a problem. This is a self-defense based style and techniques learned help improve awareness, confidence, self-discipline, and respect. 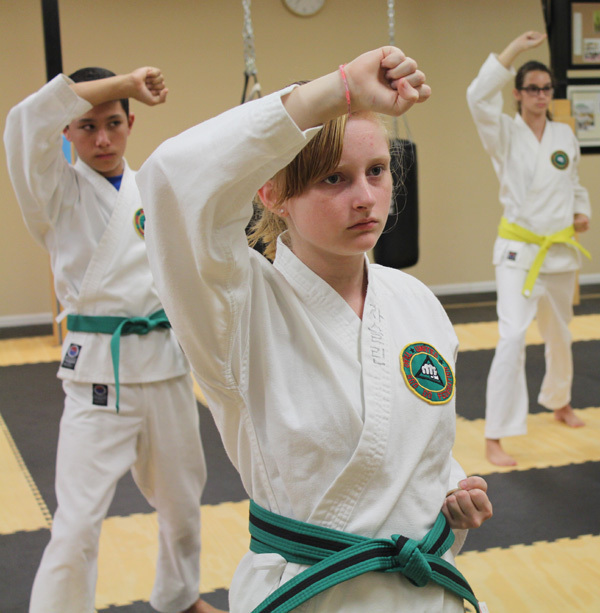 Teens and Adults get additional training in hand to hand self-defense on Wednesdays and Thursdays. Adults have a variety of reasons for taking martial arts, some are looking to regain youthfulness, some looking for self-defense confidence, some want to finish something they started when they were younger. This class still follows the same curriculum as the other Tang Soo Do classes, at a less aggressive pace. Students can test every three months, if they choose to, or they can take their time. We add more flexibility training to this class, as well as hand to hand techniques, and hand weapon training. We do not free spar every in every Adult Class, and students get extra time working on forms kicking and striking techniques, as well as work on drills to improve mobility, posture, and balance. It is an active group that really enjoys getting in a stimulating workout.